This is a lovely detached village property that is more like a country house as it has plenty of outside space too and is very private. 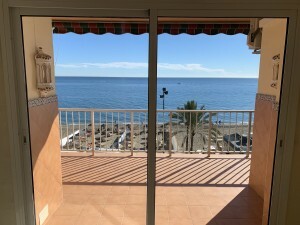 The property has a lovely covered terrace at the front to keep out of the sun! There are two doors into the ground floor. One via the kitchen and one into the hallway. 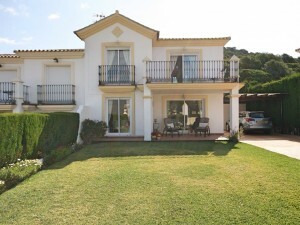 Its very spanish in its decor but would make a great family home and super for holidays. The main kitchen is fully fitted out with a fireplace too plus there is a 2nd summer kitchen. Also on the ground floor is a large bathroom, bedroom and sitting room. Nice hallway with stairs leading to the 1st floor with 3 more bedrooms - two have a large balcony with lovely views, plus another bathroom. 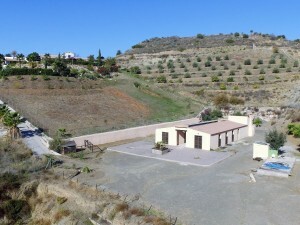 Outside the land goes up behind the property and also there is a large plot at the front with olive trees etc. There is also a large outbuilding where you can store wood etc and maybe even use as a garage. Altogether the land is about 3500 sqm and it also has a water reservoir which can double us as a plunge pool! All the furniture is included too. 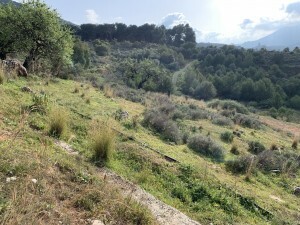 Access is via a good side road just on the edge of the village so you can walk to the local shop and bar. Very peaceful.